Offering a fine dining experience of meals made from fresh ingredients and local foods accented by fine wine pairings, Forteau’s Sea View Restaurant serves as a gateway to and from the Big Land and it provides a home-style atmosphere to tourists and locals alike. 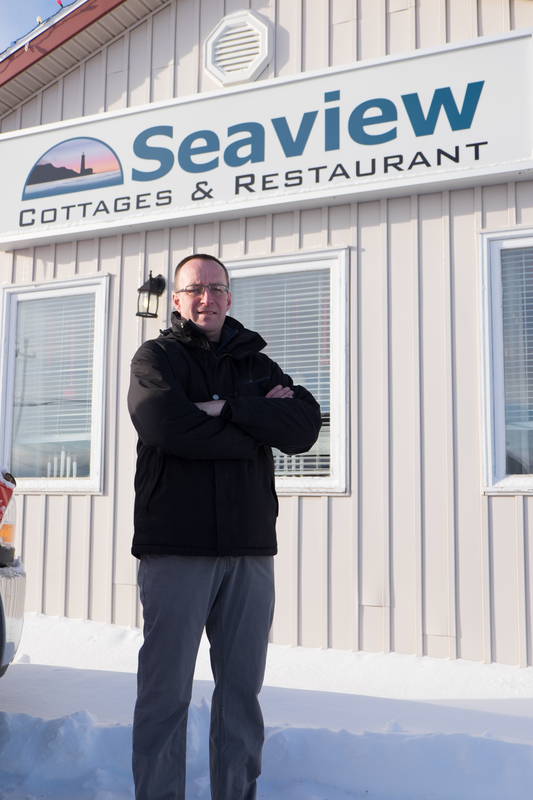 For owner and multi-entrepreneur Brad Hancock, the Sea View Restaurant complements a suite of services his businesses offer; together, they provide visitors to the region with a complete experience. In 2011, Brad worked with his local Community Business Development Corporation (CBDC) to help with the purchase of the Sea View Restaurant. CBDCs provide a variety of services to help entrepreneurs start and grow their businesses including financial assistance opportunities, business counselling and advice, entrepreneurship development and training, technical assistance and advocacy. During the 2016-17 fiscal year, CBDCs in Newfoundland and Labrador have disbursed more than $20 million to help start, maintain and modernize small businesses throughout the province. Over the past year, this funding has helped leverage an additional $14.5 million in funding from other sources and to create and maintain more than 860 jobs. In Labrador, CBDC provided $500,000 to businesses, resulting in the creation of six new jobs and helping to maintain 20 existing positions.